For small food businesses – like Cowbell Kitchen – selling at farmers markets offers opportunities to expand menu offerings and grow their customer base. Cowbell Kitchen founder Cheryl Strasser started in 2012 as a two-person team selling biscuit sandwiches out of a 5x8-food trailer. After selling at farmers markets for several years, in October Cowbell Kitchen opened its first brick and mortar location in Leesburg, Virginia. Cheryl started out looking to source local ingredients to expand her menu from biscuits to an assortment of seasonal items including jams, soups, and sandwiches. In 2014, with the new menu overflowing with ingredients from 10 different farms, Cowbell Kitchen joined its first farmers market. Her business grew by 210% from 2016 to 2017 and continues to grow. In 2017, Cowbell Kitchen joined the USDA Farmers Market. Today, Cowbell Kitchen sells at seven farmers markets, sources ingredients from over 30 farms, and has 15 staff. 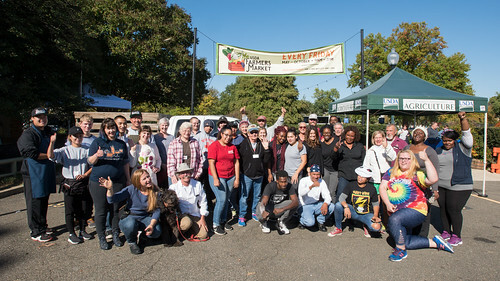 This is just one success story for a farm and local producer-driven food business expanding through farmers markets to a permanent business site. 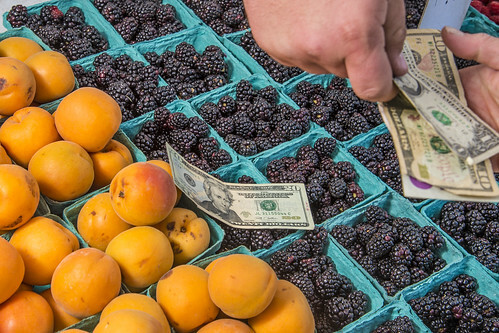 USDA is gearing up to host the 23rd farmers market season and is seeking farmers, ranchers, growers and value-added producers in the Chesapeake Bay region to apply. At this popular outdoor farmers market, you’ll find people from all over the nation buying from farmers, learning about agriculture and tasting the rich bounty from the Chesapeake Bay region. USDA will accept about 30 farmers, ranchers and small food businesses to sell their products. Vendors must grow what they sell or feature ready-to-eat foods that are made with at least 75% of the ingredients sourced directly from their farm or from farms in the Chesapeake Bay region. Vendors interested in selling at the market should visit the USDA website and read the Rules and Procedures and Operating Guidelines (PDF, 174 KB) before applying. Applications are due by midnight Eastern Time on Thursday, February 15, 2018. Unlike most farmers markets, USDA does not charge vendors a fee to participate, but requires vendors donate fresh produce and other food products at the end of each market to DC Central Kitchen. We hope everyone will join us for opening day on Friday, May 4th and sign up for our new free online newsletter to get updates about the 2018 USDA Farmers Market. The market is located right outside USDA Headquarters in Washington, D.C., every Friday, from 9 a.m. to 2 p.m., from May to October. How do I sell my cookbooks to the USDA?